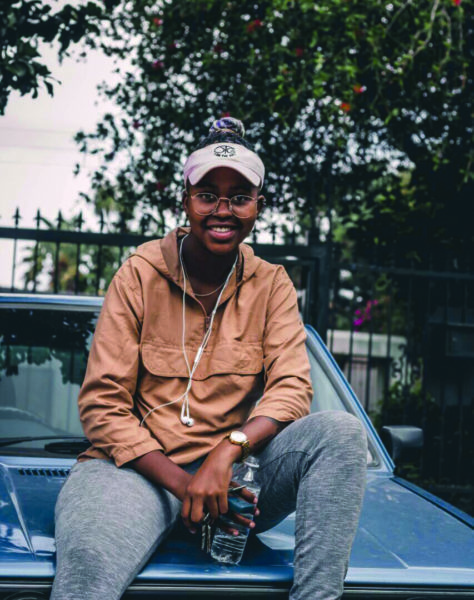 Keletso Modiba appears to be following in her father’s footsteps, the late radio host Eddie Zondi. She recently joined the VOWFM team, co-hosting the lunch show with Ferrah Mante. She is currently in the final year of her BA degree and plans to major in media studies and anthropology. Have you always wanted to be on radio? I only realised that I wanted to become a radio personality when I was in Grade 11. We were assigned for career shadowing and I chose to go to 5FM at the SABC. I shadowed DJ Fresh and through his guidance and seeing the passion he has for his job, I knew that this is what I wanted to do. I didn’t shadow my father because I wanted to make him proud by taking the initiative to educate myself without him. Was following in your father’s footsteps part of the reason you chose to join VOW? My father was instrumental in my decision to become a radio presenter. He once told me that I should not be afraid to start from the bottom because it’s was the honorable way to succeed. Naturally, starting off at a campus radio station like VOWFM is the best example of ‘starting from the bottom’, it will help sharpen my craft and reach for my goals. How has your father’s legacy influenced your experience on radio? I do not really express or engage in a lot of conversation about my father’s legacy. Many people loved him and remind from time to time that he was a legend. He had the ability to make people fall in love. Generally, people who are close to me and have witnessed my growth in radio remind me that he would be exceptionally proud of me. Most times, I avoid speaking about him because I fear that it would put me in his shadow. We’re two completely different brands with different target markets. It may put a lot of pressure on me in terms of expectations and so forth. I am Lula Odiba first before I am Eddie Zondi’s daughter. How has joining VOW affected your performance academically? It hasn’t really affected my performance academically. My mom made it clear that studies come first. In my first and second years at Wits I did a show called ‘The Ultimate Hookup’ which aired from 9pm to midnight. It was the only time I had to be on air because I had to focus on my academics. Now that I’m in final year, I can work with my time a lot better. I only have my majors now so fortunately it allows me to host ‘That Lunch Show’ from 12pm to 3pm on weekdays. I believe in pacing myself and being honest with myself. Once I am ready, which is very soon, I wish to be on commercial radio stations and television doing what I love the most and actually getting paid for it.